One of the unexpected benefits of working towards my degree has been how many memories from my past, both good and bad, have been dredged up. I took my Creative Non-fiction class more than a year ago, but there are still so many things that pop into my head that I want to write about “when I have more time.” We all know how that goes! She was made for me by the mother of my then-boyfriend and given to me on my 16th birthday, still the only “real” birthday party I ever had. 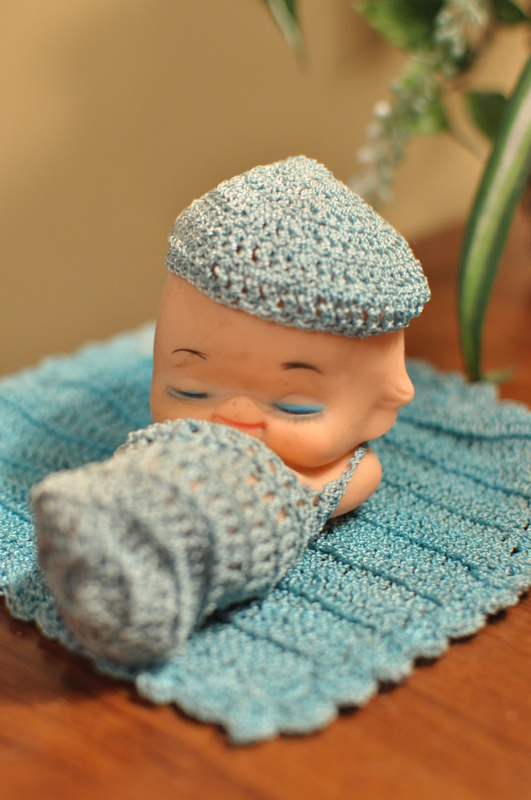 Not only does the intricate crocheting of the outfit and blanket amaze me, but it also reminds me, in a round-about way, of my grandpa who always called me his Kewpie doll. With memories like these, how can you help but smile?